Observation - Lady fern - UK and Ireland. Description: A delicate fern grows in clumps, fronds between 30 to 100cms, the spores are almost comma shaped, in two rows. 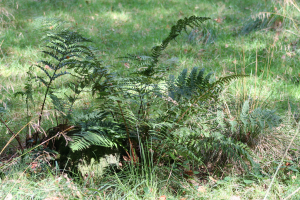 A delicate fern grows in clumps, fronds between 30 to 100cms, the spores are almost comma shaped, in two rows.